Two men ordered to keep away from young girls after a council became the first to use civil injunctions to block child sexual exploitation can be named, a High Court judge has said. Mr Justice Keehan said the names of Mohammed Anjam, 31, and Omar Ahmed, 27, could be revealed. Police had raised concerns about the men's safety. The judge had granted long-term injunctions against the two men earlier this week. 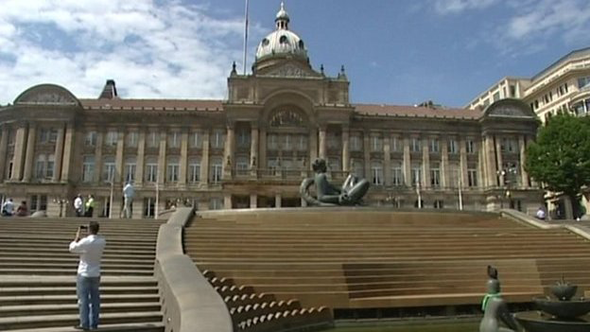 The injunctions came after social workers at Birmingham City Council and police raised concerns about the welfare of a vulnerable 17-year-old girl who is in the care of the council. The judge barred the men from approaching the girl until she turned 18 following a public hearing in the Family Division of the High Court in London. He also barred them from approaching "any female under 18", with whom they were not personally associated. Lorna Meyer QC, for Birmingham City Council, said the authority and police had identified a "number of individuals" found to be "inappropriately" in the company of the 17-year-old girl. Lawyers thought there was not enough evidence to secure criminal convictions - on a beyond reasonable doubt basis - "at the current time". But they thought there was enough evidence to obtain civil court injunctions - on a balance of probabilities basis. The local authority has launched civil court proceedings against 10 men. Miss Meyer said if long-term injunctions were made, and any of the men were found "in the company of a vulnerable child" by West Midlands Police or Birmingham City Council in breach or orders, then lawyers would ask a judge to impose jail terms for contempt of court. Mr Justice Keehan heard arguments about the publication of names from police, some of the men and journalists. The judge ruled the media should be allowed to identify men who were the subject of full and final injunctions. The council said the girl had been reported missing from care 102 times since July 2010 and it believed she had been "consistently sexually exploited". Peter Hay, strategic director of people at the authority, said: "We're still a council with our struggles with safeguarding children. That's well known. "The importance and ground-breaking nature of what we've done here is that for the first time those that are sexually exploiting children cannot rely on their silence. "We can find other ways of bringing it... to attention and dealing with the men concerned than just the child who has all those vulnerabilities whose silence has been bought in by other things such as drink or alcohol." Det Ch Supt Danny Long, head of public protection for West Midlands Police, said: "We will monitor compliance with the injunctions.... This is a test case, this is something that is being watched across the country with regards how we get on. "This is not a soft option. Where we have the evidence we will always go down the criminal route, we will look to arrest and to put people in front of a court." There were 75 live criminal investigations at the moment into child exploitation in the West Midlands and a further 210 cases were being looked into, the council said.